Cameras Downunder Gallery - Wooden Cameras/Adoro Tropical. Zeiss-Ikon Germany. 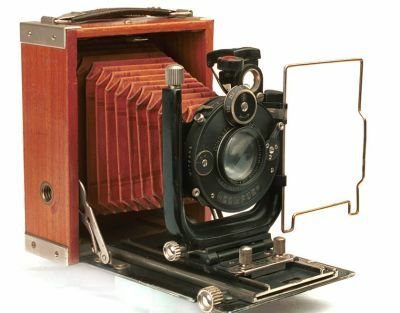 Tropical Adoro, a folding plate camera. c.1927. brown leather covering on door, beautiful Teakwood body, with nice red/brown double-extension bellows. A Rare camera.